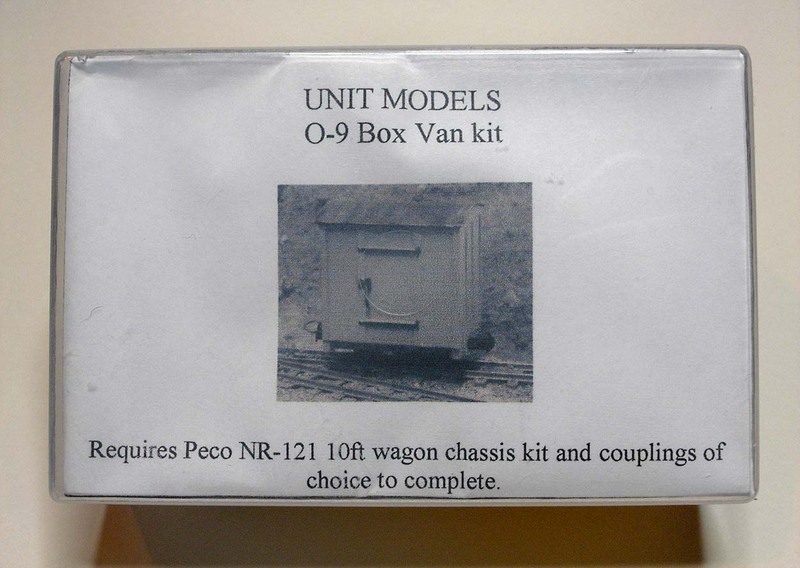 At a recent Beds and Buck Narrow Gauge Meeting David Gander kindly gave me an unmade kit of a Unit Models O9 Box Van. I was very pleased for several reasons. Mostly, because it’s a very kind gift (thanks David!). Also, Unit Models is passing to a new owner and these kits are hard to find at the moment. 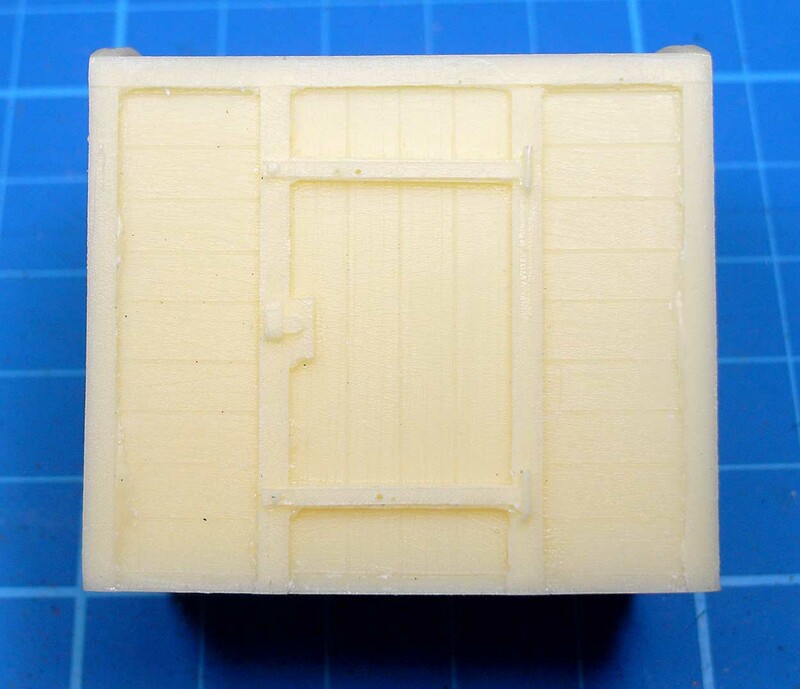 Finally, it’s a nice model, with crisp moldings and the style fits in well with the O9 wagons I’ve been scratch building. It would be really easy to make the kit but I wondered if I could add a bit more detail to the body. I have a pack of Grandt Line 32 thou diameter rivets I haven’t used. I thought these would look good on the iron work of the box van. 32 thou is roughly 1.4 inches in 7mm scale which seems about right. The rivets come with a plastic shank that can be fitted into a 0.4mm diameter hole in the model. This helps anchor the rivet in place. One rivet equals one hole, so I set about marking out and drilling 64 holes in the body. It was a good test of how accurately I can mark out and drill. 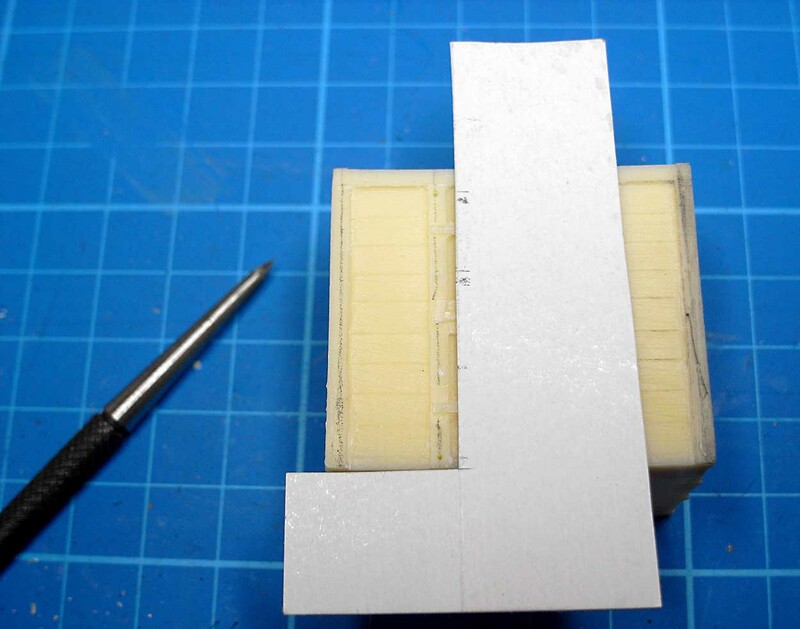 I made a cardboard template to help position the holes. The final effect looks good – but it took ages to do!